Black Friday is the shopping phenomenon the day after US Thanksgiving, and despite not having Thanksgiving fall on the same day in Canada we still observe this borderline religious event (for some) with an almost unlimited amount of sales and discounts. The phenomenon of black Friday was originally coined in Philadelphia, where it was used to describe the heavy and disruptive pedestrian and vehicle traffic that would occur on the day after Thanksgiving. This usage dates to at least 1961. More than twenty years later the event is even more popular often extending for entire weeks, its popularity has even spawned similar events like “Cyber Monday” or “Singles Day” in China that recently outpaced even Amazon for single day sales. Whatever day you want to call it they all have the same purpose to stimulate consumer spending. I see a lot of articles on Life Insurance that talk about giving up coffee, Netflix or your cell phone to pay for the low cost of life insurance. I get the point of these articles putting into perspective the cost, however, I’d probably need to exercise my life insurance policy if I had to give up coffee. All kidding aside the point is the cost is not the issue. Consumers line up year after year and feverishly hustle around due to the fear of missing out on a good deal to buy stuff they don’t really need. I think we should all remind our prospects that every day is Black Friday with life insurance. What do I mean by that? I mean that Life insurance is never going to be more affordable than it is for your clients right now! Every day your client's get older and less healthy* making their insurance more expensive. Some exceptions apply like quitting smoking however for the most part every day or year they put off buying life insurance the more expensive it becomes and that cost multiplies over the length of that product. An increase in cost of a Term 10 compounds for ten years where as the increase in Universal Life would last the lifetime of the polciy. 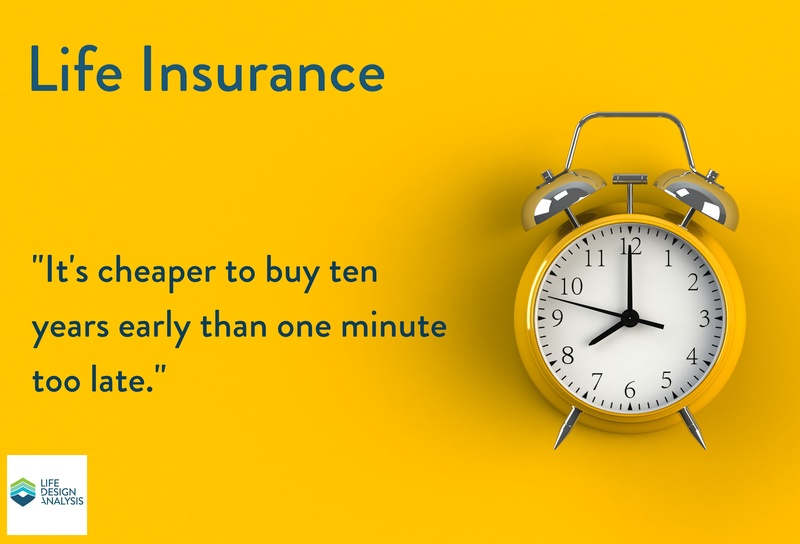 "It's cheaper to buy life insurance 10 years early than one minute too late." Our clients are almost always can be stubborn or just busy and end up procrastinating. Most of them likely don’t appreciate the gravity of how much money they are be leaving on the table. For LDA subscribers I recommend a Cost of Waiting (COW) report to leverage the same principles that make Black Friday work. Get creative and use your imagination with this kind of concept, it works with any product (Term Insurance, Universal Life or Critical Illness) because your age is the biggest factor in the pricing of life insurance products. 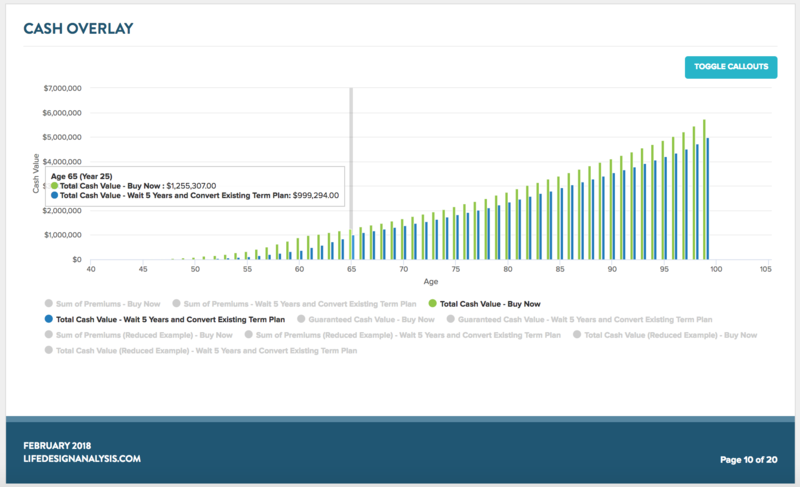 By seeing how much extra money we are paying due to increased age or health rating costs we tap into our clients FOMO just like Black Friday we create an urgency around why we should get the product today rather than waiting till it costs more. So remember every day is black Friday with life insurance, use this as an opportunity with your clients around this time to launch a Black Friday campaign of your own, use a shared case link that illustrates how much waiting to buy Life Insurance can cost! Don’t let the retailers have all the fun this Black Friday let's show our clients we can afford coffee, life insurance and Netflix! In conclusion think about using Black Friday, Cyber Monday or even Singles Day (if that is your market) to remind your clients that every day is Black Friday with Life Insurance and back it up with your COW report! Sign up free today to use this concept or book a training session with Jon or Nik from our support staff to see how Life Design Analysis can help your practice (just click on their names).